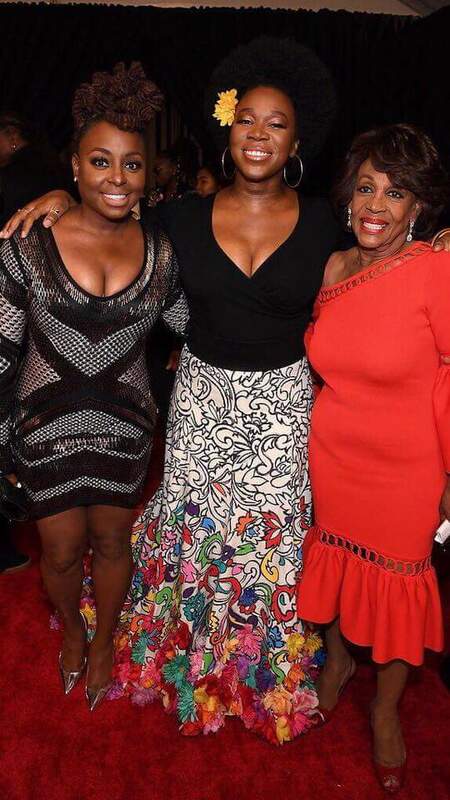 Sis Issa Rae was a vision in a Leilou By Alex FW17 RTW gown. Anika Noni Rose Looks So Beautiful! In a floral Dennis Basso dress and Alexis Bittar Jewelry. 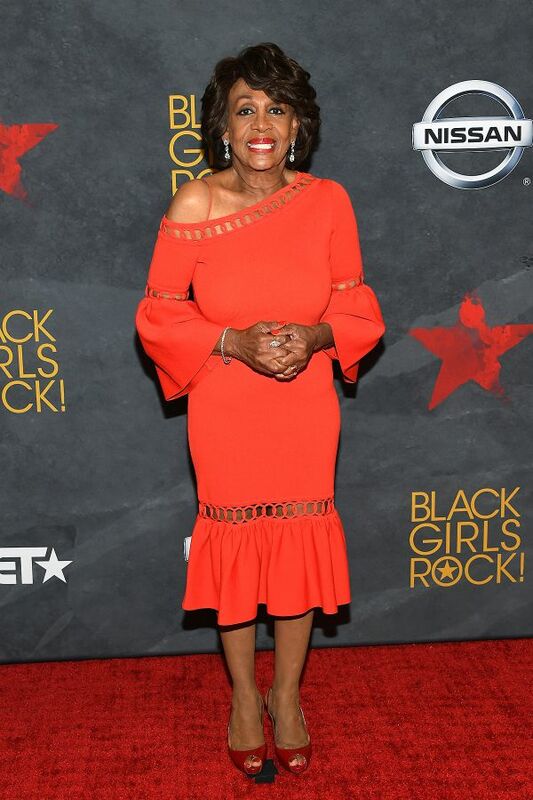 Auntie Maxine Waters Looks Wonderful! 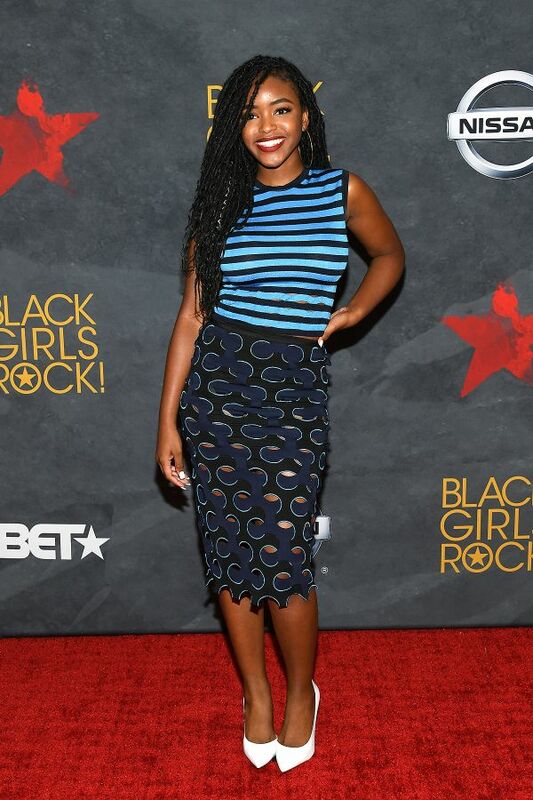 hit up the award show in a Herve Leger dress. 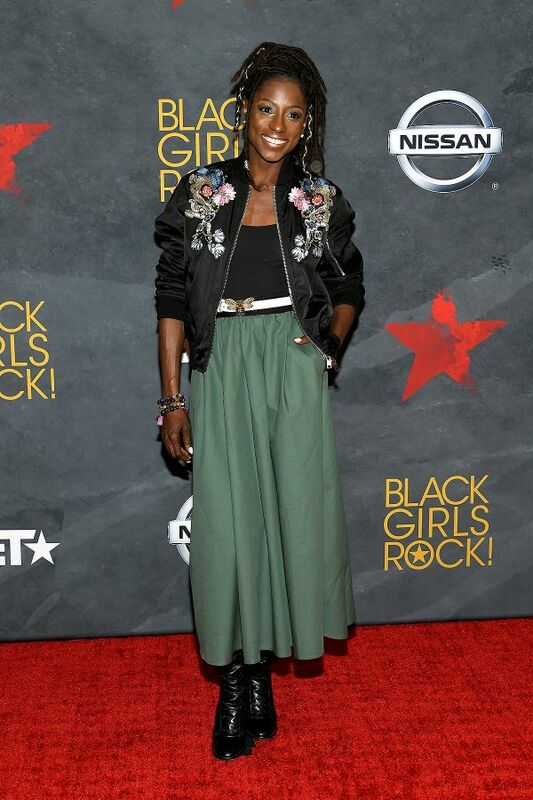 Vegas’ Own Rutina Wesley Is Black Girl Magic! Alexe Belle and Isis Valentino of St. Beauty drippin golden melanin on the red carpet!